Where do bananas go when they become overly ripe? To over-ripe banana heaven, aka banana bread. Everyone needs a good banana bread recipe. 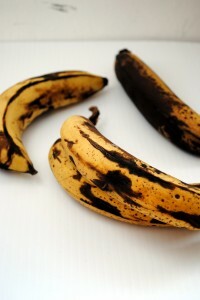 Inevitably, a few bananas in that bunch you just bought are going to turn brown. No matter how much you love bananas, it seems to be a fact of life. I actually bought two more specifically for making banana bread. Lucky for me my local grocery store specializes in over-ripe bananas. This banana bread recipe came together incredibly fast and is probably the moistest, best tasting rendition I’ve made. It’s not overly sweet, and I used a mix of whole wheat and all-purpose flour for a slightly more healthy feel. To me banana walnut is one of the world’s most satisfying combos, but if nuts in your baked goods aren’t your thing or you have an allergy, simply omit them. Next time I am going to try adding sliced strawberries as well. Preheat the oven to 350°F (175°C). Mix the butter into the mashed bananas in a large mixing bowl. Mix in the sugar, egg, and vanilla. Sprinkle the baking soda and salt over the mixture and mix in. Add the flours and mix to combine. Fold in the walnuts if using. 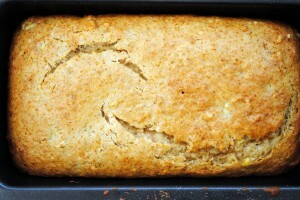 Pour mixture into a buttered 4- by 8-inch loaf pan. Bake for 1 hour. Cool on a rack. Remove from pan and slice to serve. This sounds delicious! I love that classic mix of flavors! Thanks so much Mary! It really is classic. 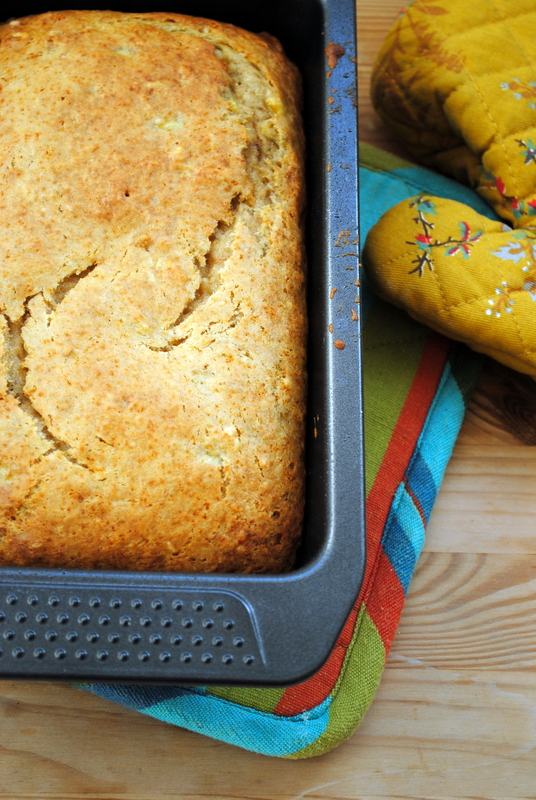 I’ve made banana bread so many times and this one was the best ever. Holy Crap! I just made this and tweaked a few things but that is THE BEST recipe EVER! Thank you! Oh yay! So good to hear! Thanks for sharing! I just made this with walnuts & mini chocolate chips and it’s great! Baking is not my strength so I’m super excited that not only was this easy to make, it didn’t turn into a rock ;)…and really tasted good.